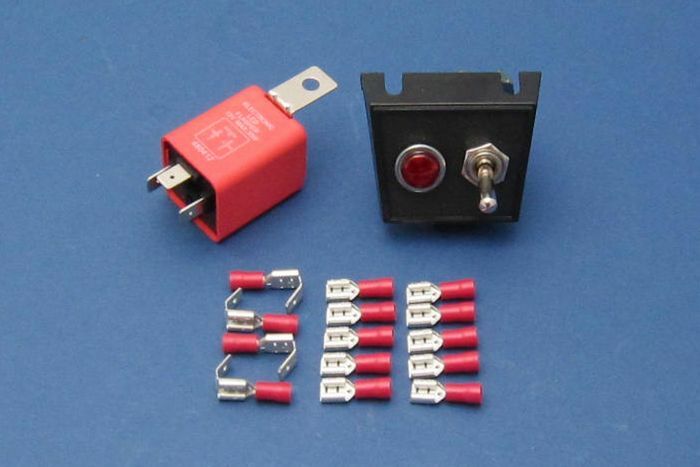 A kit of parts to enable you to convert existing 12V indicators to hazards at the flick of a switch. 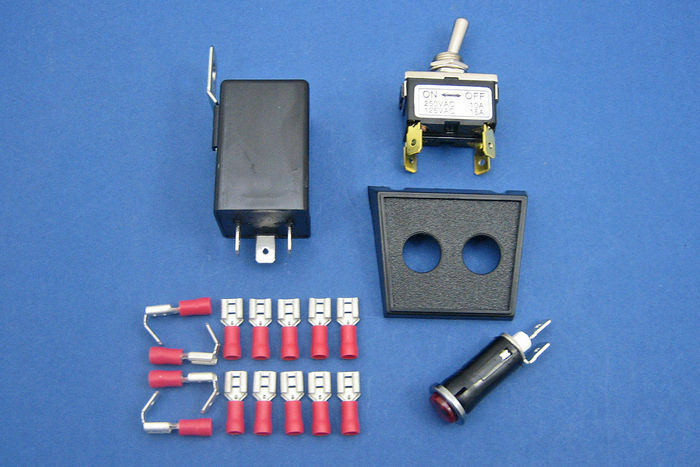 Kit includes flasher relay, warning lamp, switch, bracket, crimp terminals and wiring diagram. Only available in 12V. 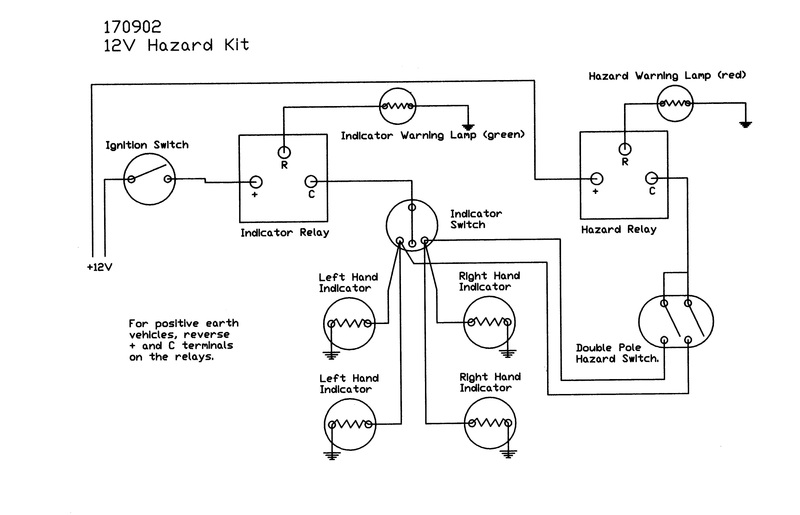 Two kits available - one for use with standard bulbs and one for LED-type indicators.